CJ writes, "Thought of something recently that I fondly remember from school 30 years ago: the Bic 4 color pen. Did you ever have one of these? I remembered these from when I was a kid; it was an awesome pen! I was surprised to find they still make them. I found one an a local Office Depot and bought one for my daughter as well. I had one of these 30 years ago in school. They look and work exactly they same as they did back then. Amazon has them as well." Weirdly, I picked up a box of a dozen Bic Crystal pens -- the ultra-cheap ones -- just before Christmas. I think my subconscious was mulling over the hand cramps I endured while writing college exams at the end of every semester. Either that, or my brain was rebelling against my iPad addiction. It is really, really rare that I laugh till I get tears in the corners of my eyes, but these videos have done it. I'm a longtime fan of the unrelenting gloominess and early synth work of Depeche Mode. In the 80s I'd never heard sounds and beats like that before, and it opened up a whole world of electronic music to me. The band did a lot to introduce and popularize entirely synthesized music (to more than just me, of course). Their radio and music video hit "Everything Counts" made a huge impact on ears that had never heard such an extraordinary collection of noises, which makes it even more hysterical when children do a pretty authentic cover of it with stuff from around the toy room. I know I'm courting controversy here, but I haven't been nearly as enthusiastic about DM since they moved away from their signature synth sound to a more rock band oriented thing in the 90s. I know plenty of people who (and I'll never understand this) got into the band precisely for that epic rock sound and not the crucial synth stuff that came before. I like to joke that DM has been around long enough to have fans of just their much crappier career phase. I'm being dramatic, of course. There's plenty to like of their recent work (they have a recent live DVD that's pretty amazing), but those early unrelentingly electronic albums will always be very special in my heart. Those are very hardy songs that can even survive being covered by the mewling of adorable little moppets. Maybe we're down to projects like these to keep those early days of musical Depeche melancholia alive. One more DM cover from the Schrader family... this time it's "Shake The Disease"
So your friends are wise to you - they won't come over to your house anymore in fear of a slideshow breaking out. You can't just keep those Kodachrome slides of your trip to the canyon and your gall bladder surgery to yourself. You're a natural showman! IF you forgot to bring your Minolta pocket sized 35mm slide projector, you can always whip out your Arrow-View pocket viewer. With a heart made of two C batteries and a flashlight bulb, there's not a lot of tech going on here, but you've still got just about everything you need for a slide show - one slide at a time, of course. Just drop the slide in the slot and push down. The slide pushes a contact into place, and the rear light fires up. The bottom knob physically moves the magifier to adjust for any level of focus and/or myopia. Of course these days practically any MP3 player can display a much more elaborate multimedia slideshow. This viewer hearkens back to somewhat more "monomedia" times. I still think this is a kicky little slide viewer - especially the mysterious marble-ized finish and the shape reminiscent of a camera. It's no smartphone powerhouse, but at least the 50's were trying. This year will mark the 25th anniversary of Star Trek: The Next Generation. Not only was it the keystone of many, many years of new Trek (and renewed interest in TV sci-fi in general) on television, the series and its success in many ways re-defined our expectations of TV. When the series premiered in 1987, few believed that a costly non-network show could be popular. Each episode cost upwards of a million dollars, and you could see it on the screen with the many dazzling special effects that brought the future to life every week. One way they cut costs was to shoot on 35mm film, but do their editing entirely on video. Special composited effects (adding phaser blasts, or putting visuals into the big viewscreen on the bridge set) were also realized using video techniques. Those video sourced effects were all locked in at SD quality, and with all of the editing also having been done at SD, I often wondered how they would re-release the series into an HD world. A few years ago when Paramount "re-mastered" the original 60's series, their job was somewhat easier since all the material had been shot on film, edited on film, and special effects composited on film. The original 60's workflow was at a full 4K quality, so it was just a matter of digitizing those original master film prints. Paramount took the extra step of re-creating the shots of the Enterprise and updating some of the ropey effects they felt could use some polish, but the bulk of what we saw was just a direct copy off the original broadcast master reels. So for the re-release of TNG, Paramount has to go back to the original camera negatives to digitize the footage, then re-edit every episode to create a new HD broadcast master. It's not an easy job, but it's made easier thanks to extensive records of takes that made it into final edits, and various other paperwork from the original production. The model shots were also shot on film, so those can be retained as-is. The only material that will need to be remanufactured are the composited elements I mentioned above, which today you could probably accomplish on your smartphone. Those scenes are thankfully not going to be upconverted from the original SD masters. The visuals that once dazzled us in the 80's, will dazzle us again now. The first season's belabored plots and wooden acting that befuddled us then, will baffle us now. I'm teasing, of course. The show quickly found its footing, and became a modern TV classic. You can order a preview disc for $24.99 $14.99 (when you use the link below!) with the pilot film "Encounter At Farpoint", and two other favorite episodes, with the rest of season one to follow in 2012. One note - if you poke around the message boards buzzing with this news (which I'm really, really not recommending), there is some misinformation going around about the release of this show in 16:9. While it's correct that the show was shot on 35mm film, the 35mm film frame is a more-or-less square aspect ratio (just like a roll of still photo film you've seen before). When movies are shot for a widescreen presentation using 35mm, they're using a special anamorphic lens, or possibly cropping the 35mm film frame - neither of which was in the plan for TNG. Any attempt to present TNG in a widescreen format would mean chopping off existing parts of the picture, and reframing every single shot. When you see the full frame 4:3 image of a TNG episode, you're seeing exactly what the director of photography wanted you to see. A 16:9 matte would mean seeing less of the picture.. not more. Pre-order "Encounter at Farpoint" +2 more eps in HD for only $15! Long time readers of Retro Thing may have noticed that I'm a huge fan of Ernie Kovacs, one of television's earliest geniuses. You hear the word "genius" flung around a lot, but I use the word deliberately as we're still living in a TV world molded by his many innovations. Watching the long overdue 6 DVD Ernie Kovacs Collection box set, you'll be amazed at how many times you see Kovacs echoed in the offbeat TV comedy of a David Letterman (who names Kovacs as a hero, even hiring Kovacs' old announcer Bill Wendell for his NBC show), or a Conan O'Brien. Kovacs was first to lift the veil on the secret world of making TV, inviting viewers to peek on on behind the scenes nonsense, and having lots of fun even when things didn't quite work out the way they were supposed to. Today is the 50th anniversary of Kovacs' untimely death, and were it not for the untiring efforts of his wife Edie Adams, his work would have disappeared too. She single-handedly rescued many of the master tapes that were destined for the demagnetizer. Kovacs' work has always been hard to find (a scant few VHS releases and a 2 DVD compilation that quickly went out of print), making this DVD box set a boon. The bulk of this material hasn't been seen since original airings of the show. All these rarities feel amazingly fresh even today (I recently spent a year launching a morning TV show, and I cribbed a lot of Kovacs). If you're a fan of TV, especially early TV... or you just like to laugh, this is a terrific set. I'll be commemorating the 50th anniversary of the loss of this under-sung genius by playing some of the discs from this set today. Yes, I'll be marvelling at the genius of Ernie Kovacs, but more importantly I'll be laughing too. Pick up the 6 DVD Ernie Kovacs Collection on Amazon, and help out Retro Thing! The 70s were a decade of the gritty anti-hero in movies. Some film historians credit the success of Star Wars to audiences responding to the movie's "good guy" heroes and high adventure. 1977's blockbuster success influenced more than just movies - sci fi trappings beamed up in a big way everywhere you looked. Sadly, it wasn't all good. Here's a clip from ITV's Kenny Everett Video Show - British comedy skits and pop music, if you don't remember. This wasn't shown an awful lot in the states, but as a pre-teen I was fascinated by the show's early video effects, music I'd never heard before, and the (quite controversial and underdressed) Hot Gossip dancers. Here they are with their own simply awful sci-fi musical tribute. See how many SF theme songs snippets you can spot in this 1978 video clip. Todd Holcomb writes, "Here's my new Atari 2600 game that's a follow-up to the classic Atari game, Adventure. Featuring all new enemies, castles, and mazes, it utilizes the Pitfall II engine to produce pretty graphics. It will soon be available in the AtariAge store. Check it out in the development thread at Atari Age—you'll need the latest version of Stella or Harmony cart to play." Because the graphics are based on the Pitfall II engine, it really pushes the limits of the 2600. I would have loved a game like this back in the day. Todd plans to release Epic Adventure on cartridge in early 2012. It's like being back in 1982... except better. You've probably heard the news that Kodak is preparing to file for Chapter 11 bankruptcy. Pundits around the world have been quick to declare that the company simply didn't embrace digital technology and fell out of step. However, I think there's more to it than that. 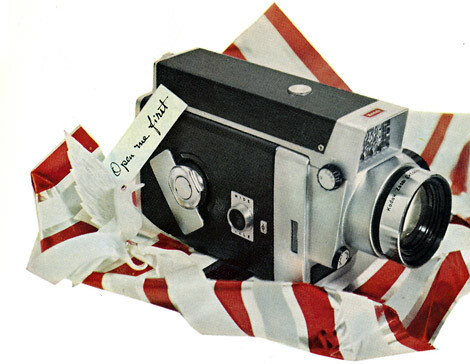 In actuality, Kodak was at the forefront of the digital revolution. One of the first portable digital cameras was cobbled together in their R&D facilities in 1975. The company released a lineup of digital point-and-shoots and has tens of thousands of digital photo printing kiosks installed across North America, ready to print stacks photos at the touch of the screen. They spent decades developing first-rate digital image sensors. They even launched the highly regarded Kodak Theater HD Player to let you view slide shows and videos on your TV in gloriously modern HD. So what went wrong? Why aren't there lineups ten people deep to print photos of their latest pub crawl or cousin Sarah's Bat Mitzva? The company did an excellent job of positioning themselves in the Kodak Memories business—use Kodak when you want a keepsake that you can hold onto for decades and share with your grand kids. But people simply don't use photography that way anymore. These days, my wife snaps interesting and timely photos to share on Facebook. Those images are used to spark conversation and they have a very short half life. Tomorrow, it'll be something new. The confluence of mobile phones with decent point-and-shoot capabilities and fast data connections makes it easy to beam images directly online, and there's simply no place for Kodak in the new business model. The shift is especially pronounced in the teen and young adult segment—they have Hipstamatic. It's instant, cheap and makes everything look retro cool. Meanwhile, the Kodak photo kiosks at the local big box department store stand unused for hours on end. Yeah, someone will eventually come along and order an 8x10 enlargement or prints of Christmas morning for grandma, but it's definitely not a growth industry. The Kodak story is a classic example of a mass technological shift. In this case, it's a double whammy—a seismic move away from film and paper photography, but also a social shift in how we perceive and share images. What do you think? Has photography changed forever? Is there a place for Kodak in the 21st century? I'm surprised no one cooked up the idea of the Retrode 2 game adapter sooner. It's a little box that allows you to attach real Nintendo Super NES and Sega Genesis cartridges and controllers to your computer. Once everything is hooked up, you can access the program ROM and SRAM (for game saves) on the cartridges using an emulator. A maximum of 2 Genesis and 2 SNES controllers can be connected at once -- you can even use all four controllers at the same time for some wicked multi-player action. You don't even need cartridges to play if you already have ROM images loaded onto your PC. Retrode 2 measures 162mm x 80mm x 42mm and retails for $85. The package includes a USB cable and instruction sheet, and the manufacturer promises driverless operation under any OS with any SNES or Genesis emulator. All in all, this is a neat emulation solution for people who don't like the idea of scouring the dark underbelly of the Internet for illicit ROM collections. Retrode 2 will be available in February 2012 from Everdrive in Germany and Stone Age Gamer in the USA.